A man who stabbed his estranged wife during an argument in the parking lot of a Santee shopping center pleaded guilty Monday to attempted murder. 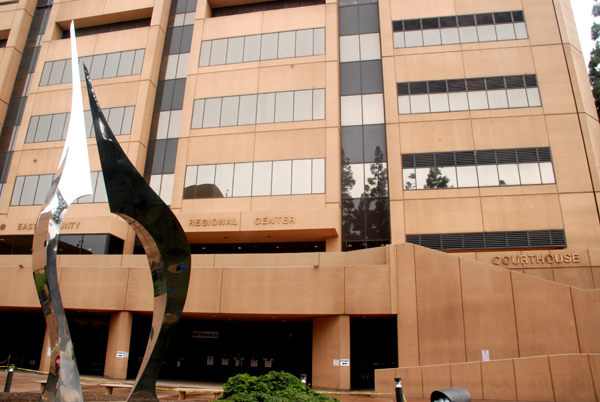 Travis Sterling Haddix, 27, is expected to be sentenced to eight years in state prison at a hearing Sept. 11 at the courthouse in El Cajon. Sheriff’s officials said Haddix began stabbing his 25-year-old spouse shortly after 2 p.m. last Nov. 20 while they were discussing their separation and child-custody issues outside of an Olive Garden restaurant at Santee Trolley Square. By the time sheriff’s deputies arrived, Haddix was gone. Medics took the victim to the hospital for treatment of wounds to her neck, upper body and one of her hands. A short time later, San Diego police received a call from a College- area resident who said his roommate apparently had been involved in a stabbing. Officers went to the man’s home and arrested Haddix.